Home » »Unlabelled » Attract Positive Energy With THIS Simple Meditation. 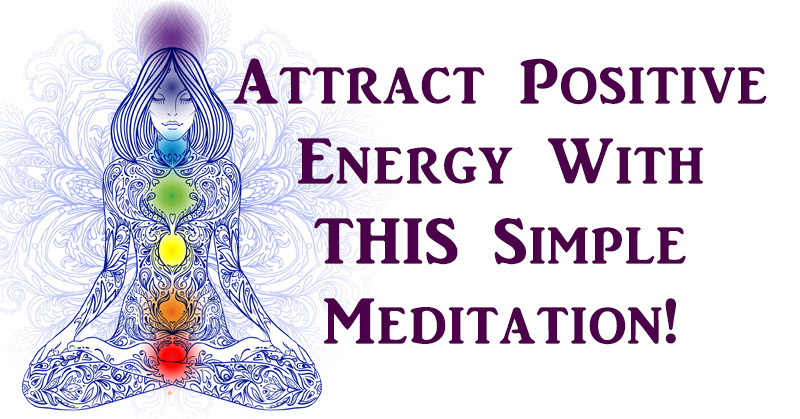 Attract Positive Energy With THIS Simple Meditation. Most of us instinctively know that negative thinking leads to negative outcomes, whether financial, social or physical. But why is that? Well, when broken down, everything within us, around us, is just energy. All energy carries a vibrational frequency so similar energies become attracted to each other. Although we are not quantum physicists, on a very basic level – when has a negative mind-set towards life brought us a positive result? Step #1: Find A Comfortable Seat. Step #2: Press The Center Of Your Forehead. Step #3: Visualize An Eye At The Center Of Your Forehead. Step #5: Follow With An Affirmation. Step #6: Return to Your Visualization. Step #7: Attach Positive Energy/Feeling. Step #8: Close The Visualization With Gratitude. Step #9: Return To Your Breath.